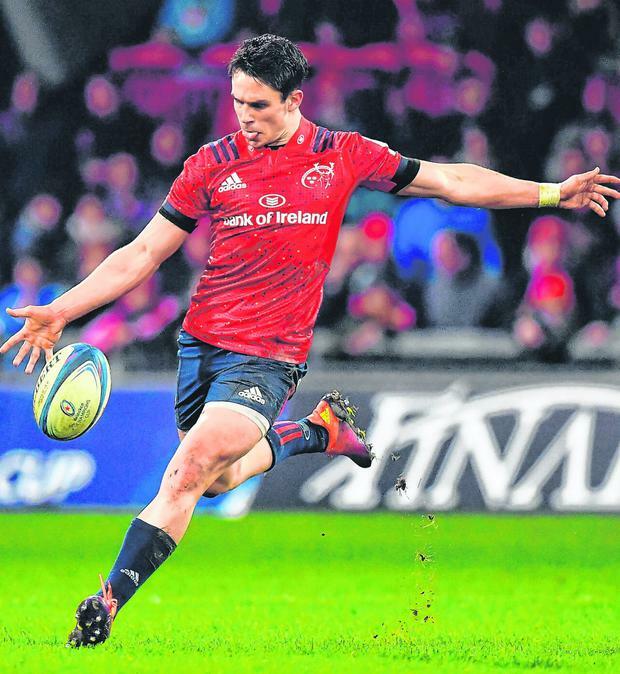 Johann van Graan is hopeful of having Joey Carbery available for selection for Munster’s Heineken Champions Cup quarter-final against Edinburgh on Saturday. The out-half has not played since coming off the bench to great effect in Ireland’s win over Scotland at Murrayfield and it looks like he will make his return to action at the same venue this weekend. Carbery injured his hamstring in training a week later and played no further part in the Six Nations campaign despite remaining in camp throughout. Now, it appears he’ll return to the Munster No 10 shirt for the biggest game of his career in red. “He'll be reintegrated into training this afternoon and we'll see how it goes, but I'm confident he'll be ready for Saturday,” van Graan said at the province's base at the University of Limerick today. Van Graan has almost a full squad to choose from for Saturday’s game, with Tommy O’Donnell the most notable absentee. The Tipperary native is out with a shoulder issue, but Chris Cloete and Jack O’Donoghue are available. Props Brian Scott and James Cronin are also out, but otherwise the South African is dealing with a full deck as he welcomes his leading internationals back after a short break after a tough Six Nations. One of his biggest calls is on who will cover the No 10 position after Tyler Bleyendaal came off the bench to replace JJ Hanrahan against Zebre and impressed. “I thought Tyler did really well from the bench at the weekend, we've got four quality fly-halves with Tyler, JJ and Bill (Johnston),” van Graan said.